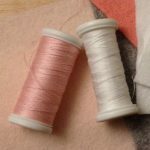 A variety of threads which have been carefully selected to help you create wonderful teddy bears, dolls and many other crafts. 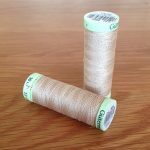 The threads have each been selected from reputable manufacturers, as close to home as possible, who excel in producing quality products. 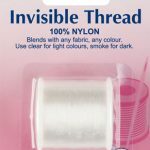 Browse our full range of threads here. Great for embroidery and particularly good for creating eyes, noses & mouths on toys. 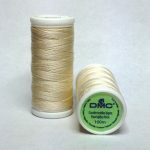 A range of DMC and Gutermann 100% cotton sewing threads. When your thread needs extra strength, great for inserting toy eyes and head joints. Invisible threads, great for whiskers!